Bends of the Mamore River in Bolivia. 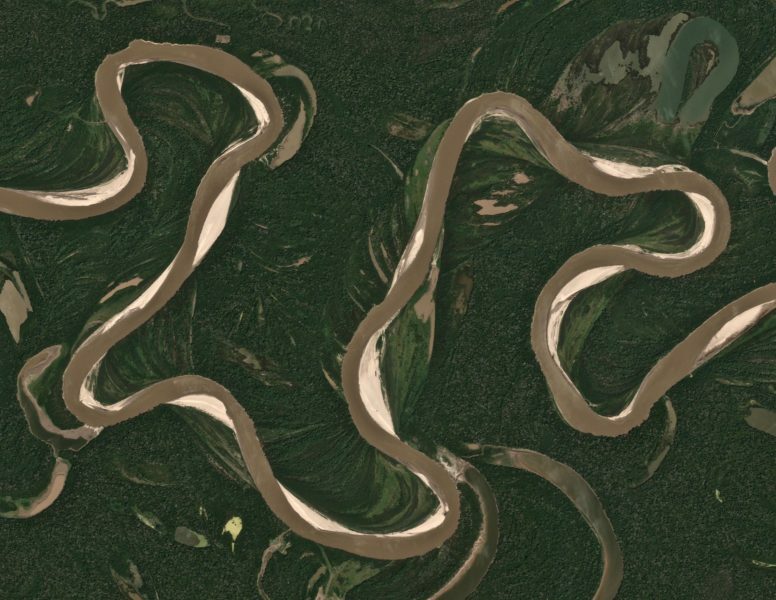 Credit: Planet Labs, Inc.
Left to their own devices and given enough time, rivers wander, eroding their banks and leaving their old channels behind. It’s a behavior that engineers have to keep in mind when managing rivers or planning projects near them. But new research from The University of Texas at Austin has revealed that old methods for estimating migration rates may be overthinking it. An animation highlighting the connection between river bend curvature and river migration, including the “lag” between maximum curvature and maximum migration. Click the image to start animation. Credit: Zoltan Sylvester/ The University of Texas at Austin bureau of Economic Geology. The research was funded by the Bureau of Economic Geology’s Quantitative Clastics Laboratory.